Hot Picks! 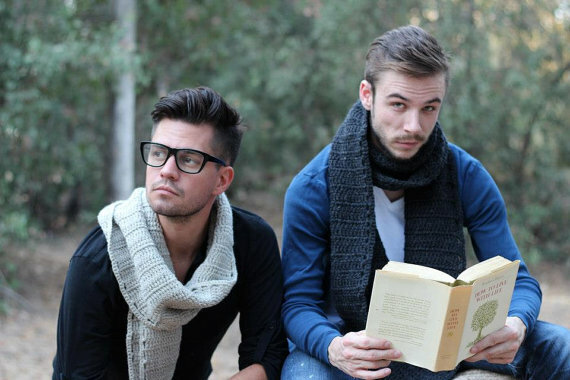 Men's Handmade Scarves Home | About Us | Opportunities | Sponsorships | Contact Us! 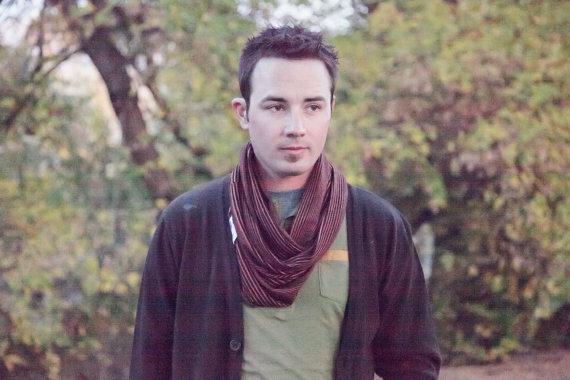 Scarves are a timeless classic in men’s style. They keep the warm in, keep the cold out, and add a look of winter to any style. 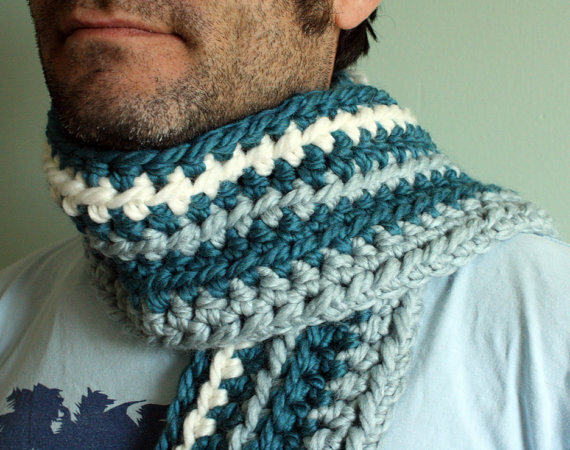 Men’s handmade scarves have made a big comeback in recent years with the popularity of knit and crochet, and this season you’ll find many guys sporting one-of-a-kind handmade men’s scarves in patterns and styles that fit every taste. 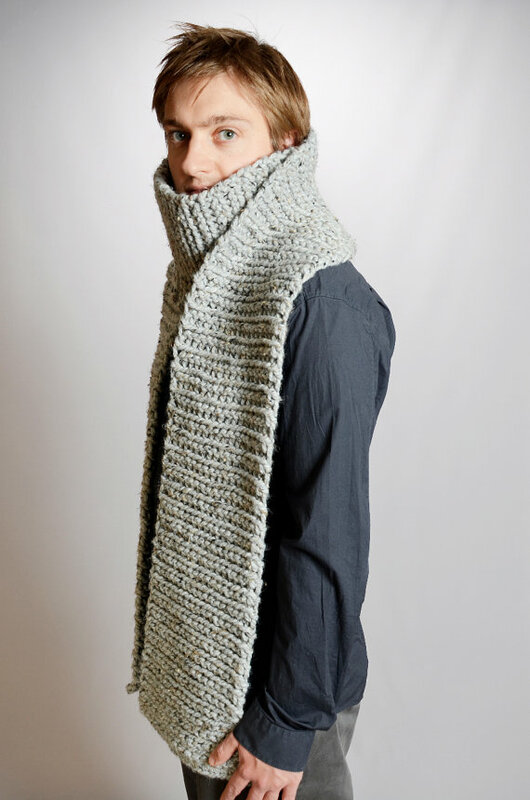 This week we’ve collected several amazing examples of modern scarves for men, and we’re putting them all in one place to inspire, give you some great gift ideas for the cold season, and to show you just how amazing handmade is! Don’t over-think it! 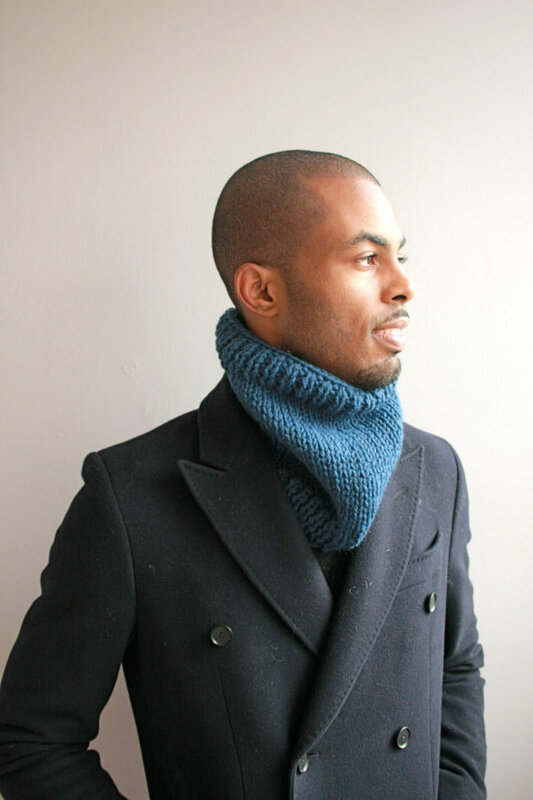 It used to be that a scarf could only be worn with a proper overcoat or multi-piece suit. 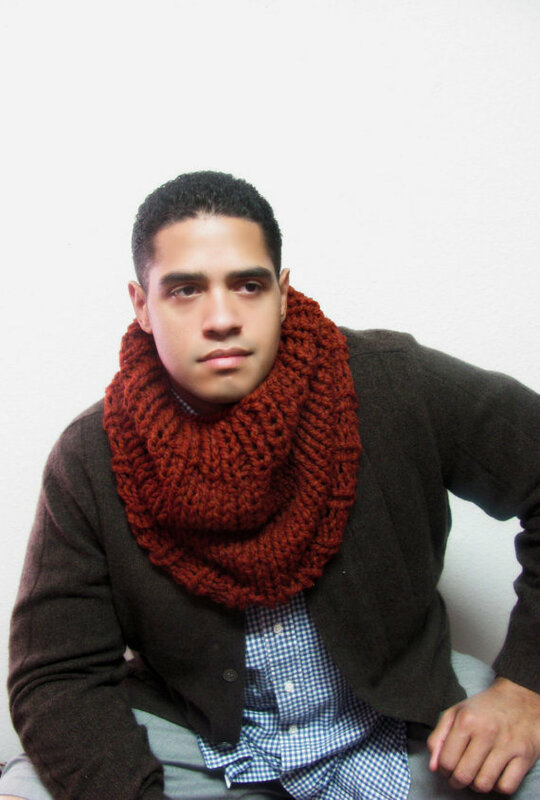 Now days however, you’ll see men of all ages combining scarf wrap looks with everything from heavy sweaters and hoodies to parkas and suit coats. 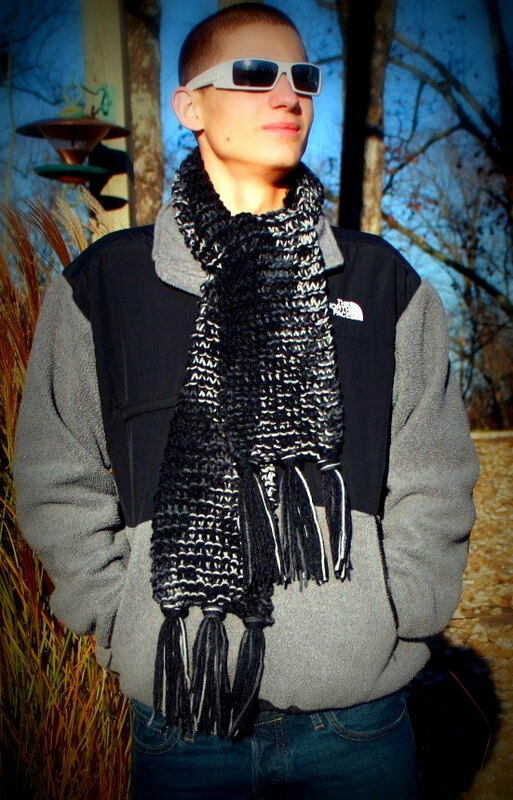 A handmade scarf brings extra texture, color, and interest to any style, and guys love how easy it is to create layered looks just by tossing one end of the scarf over their shoulder. 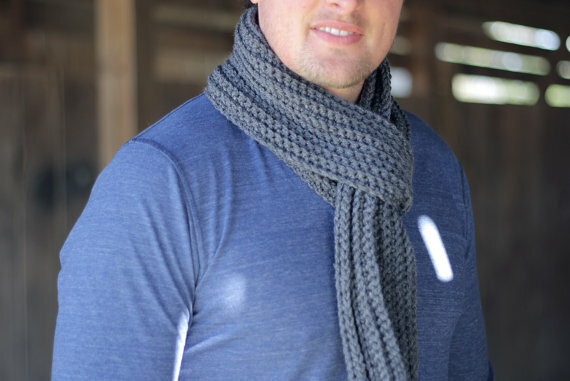 You can wear scarves with beanies and caps, behind hoods, or in place of a cap or hood. 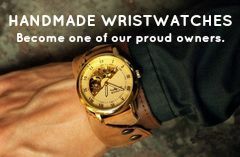 They are truly one of the most versatile pieces of men’s winter accessories. 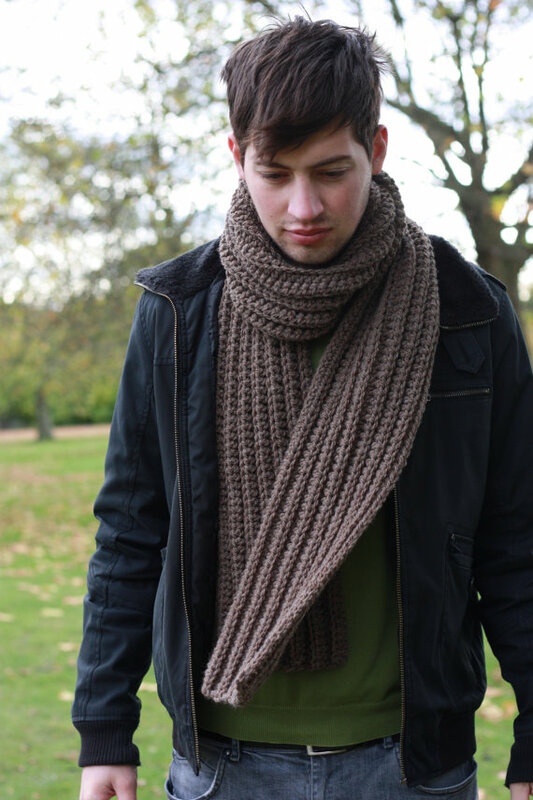 Here’s our selection of some amazing men’s handmade scarves. Got the warm fuzzies? We do! If any of the men’s handmade scarves above caught your attention, just click the images to see more from the artisan who created them by hand. 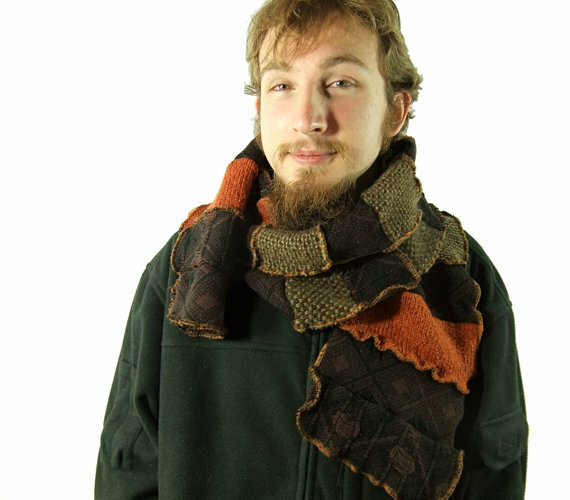 Tagged Handmade Scarves, hot picks, Men's Scarves, Scarves. Bookmark the permalink.